The Goalkeeper (Muralla) is a thought-provoking thriller. It is also a movie that is breaking box-office records in Bolivia. The film by actor/director Rodrigo "Gory" Patiño, provides food for thought as it focuses on human trafficking, an international problem that every day takes approximately eight children from the streets of La Paz, in Bolivia. In The Goalkeeper, the story is told through the eyes of a former iconic goalkeeper, Jorge "Muralla" Rivera. His days of glory and fame have run out and “Muralla” is now scraping out a living as an alcoholic bus driver. To make matters worse, his son desperately needs medical attention. To save his child, “Muralla” does the unthinkable and kidnaps a girl with the intention of selling her. Haunted by his own guilt, Jorge then seeks redemption and attempts to rescue the young girl, even if it means his own demise. Written and directed by Patiño, The Goalkeeper is his feature debut and has become one of the biggest box-office hits in its country. Besides being a contender for the Golden Globe in the Foreign Language category, the movie was also selected to compete for the Academy Award. The pic is Bolivia's tenth Oscar submission since its first bid in 1995. The country has yet to receive a nomination. But with the success of The Goalkeeper in the national box office, Patiño has already achieved one of his goals: to bring the Bolivian public to see Bolivian movies. The movie is shot in La Paz, El Alto, and Desaguadero on the Peruvian border, and is co-written by Patiño, Fernanda Rossi, Camila Urioste, and his lead actor, Fernando Arze. 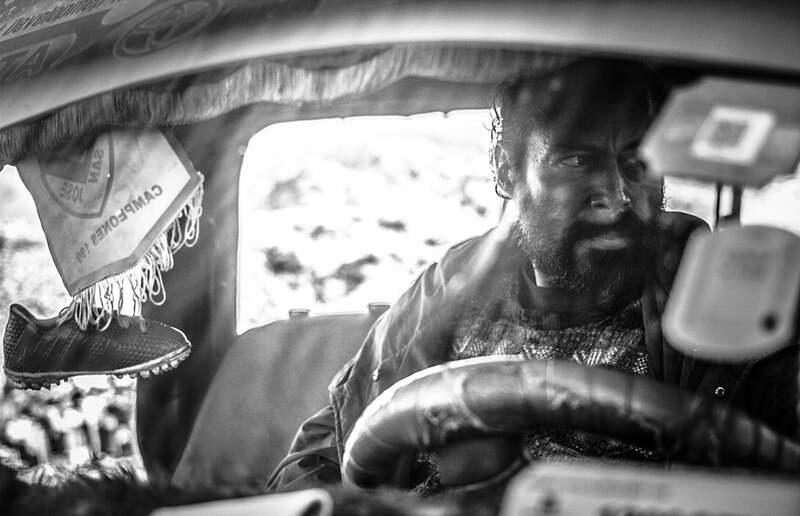 A Fulbright student who did an MFA in Film and TV at Chapman University in California and a former teacher at the NY Film Academy in Burbank, Patiño started to work on this project once he was back in Bolivia. It took him two years from pre-production until the opening of Muralla (The Goalkeeper). During that time, the filmmaker combined his work on the film with a 10-episode TV show titled, La Entrega. The show also zeroes in on human trafficking. “Muralla is one of my characters in the TV show. Not the main character but he had an important role that needed to be told more in detail”, said the director. Other works by Patiño include his short film, Fine Line, which won the Best Graduate Film Award. Recently, Gory co-wrote and co-directed Pseudo, a political thriller about a taxi driver who steals the identity of a passenger who turns out to be a mercenary. The film has been selected as a finalist in the Havana Film Festival for the Coral Post Production Award.